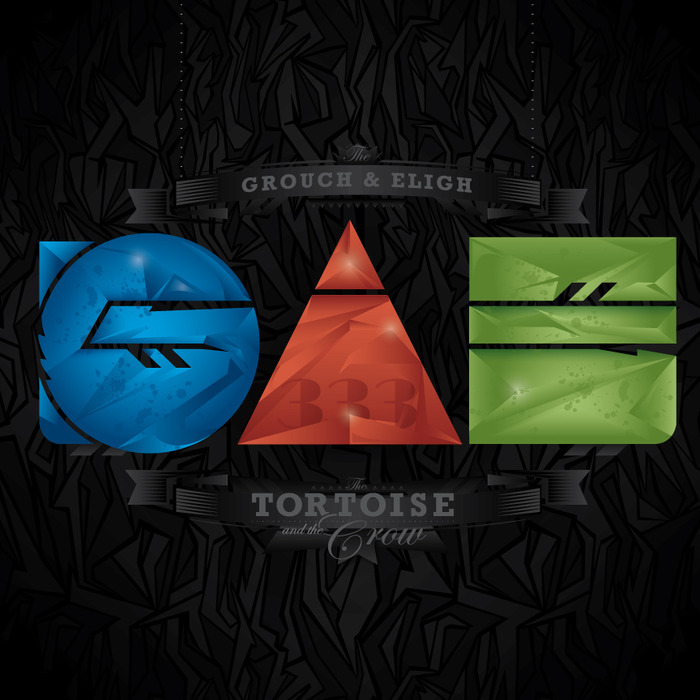 The Grouch and Eligh are rap veterans and long time members of the Living Legends crew. I have known of both of them since the late 90′s but have never really listened to them much. I remember downloading some of their music around 2000 but nothing since. Near the end of last year I decided to check out their release that came out in February 2014. It’s three albums packaged as a single release. There is a solo album for each, Eligh’s Nomads and The Grouch’s Lighthouses, as well as an album together titled 333. Eligh has released a number of instrumental albums under the monicker Gandalf as such on Nomads he handles all of the production himself. His production is varied but manages to maintain a consistent sound. Some tracks use samples over hip hop beats such as the jazzy sample on Paid the Price which on Dark Tinted it’s a more modern “wonky” style of beat. Eligh keeps the rapping sparse allowing the production to do a lot of the work it’s not until the fourth track that he raps although. He does have guest vocalist on the early tracks and throughout providing vocals that add to the atmosphere. Eligh’s raps a rapid fire and his delivery often seems to be more important than the lyrics, not that there is anything wrong with the lyrics, it’s more that the raps rhythmically ride over the beats like another instrument. Eligh often breaks away from the standard 3 verse 3 chorus song structure without sounding weird or experimental. The Grouch raps in a slow and deliberate manner which it makes it easy to pick up and take in his lyrics. Most of the songs on Lighthouses have him rapping and providing the hook/chorus. This makes for an album that feels a little more personal and introspective than Eligh’s album. The production has that slow laid back west coast vibe and The Grouch’s raps just sort of ride over the top of this. There are a couple of tracks produced by The Grouch and a couple by Ant of Atmosphere, the other tracks are by producer I have not heard of. Overall the production is very consistent and enjoyable. On their duo album some songs sound like they have gone for something that is a little more catchy and radio friendly. In particular a lot of the tracks with guests have that vibe, the hooks from Pigeon John and on Run and Steve Knight on Fireflies for example. For me it’s the weakest album of the three but has some of the best individual tracks. I was a little late finding this set of albums but I think it was one of the best releases of 2014. I have included a few of the video singles below but this is a release that is best listened to as full albums.